This is Part 3 of Hi-Fi+’s three-part photo-essay covering the recent CanJam NYC event. At CanJam London 2016, Noble Audio introduced its Katana universal-fit earphones and CIEMs to favourable critical response. In fact, Hi-Fi+ editor Alan Sircom and I both use and enjoy the Katanas, which were the first Noble models to use proprietary balanced armature drivers developed in collaboration between Noble and the balanced armature driver specialist Knowles. The only catch, really, was that the Katanas proved so good that they effectively surpassed the performance of Noble’s long-standing flagship model, the Kaiser 10. So it happened that at CanJam NYC Noble rolled out the successor to the Kaiser 10 in the form of a new model called the Kaiser Encore (priced at $1,850 in universal-fit or CIEM forms, or at $2,850 in Noble’s exotic Prestige format). Like the original Kaiser 10, the Kaiser Encore is based on 10 balanced armature drivers, but in this case proprietary Noble/Knowles drivers purpose built for the Kaiser Encore application. In a brief listen, where I compared a set of Kaiser Encore universal-fit earphones to my Katana CIEMs, I came away thinking the that Kaiser Encore might offer even more balanced and more neutral voicing than the Katana, although I would need to do further listening to confirm that point. Either way, the Katana and new Kaiser Encore both represent big steps forward in performance relative to the Noble models that preceded them. Opus showed its two most promising DAPs: the Opus#1 ($599) and the very elaborate and full-featured Opus#2 ($1,599). 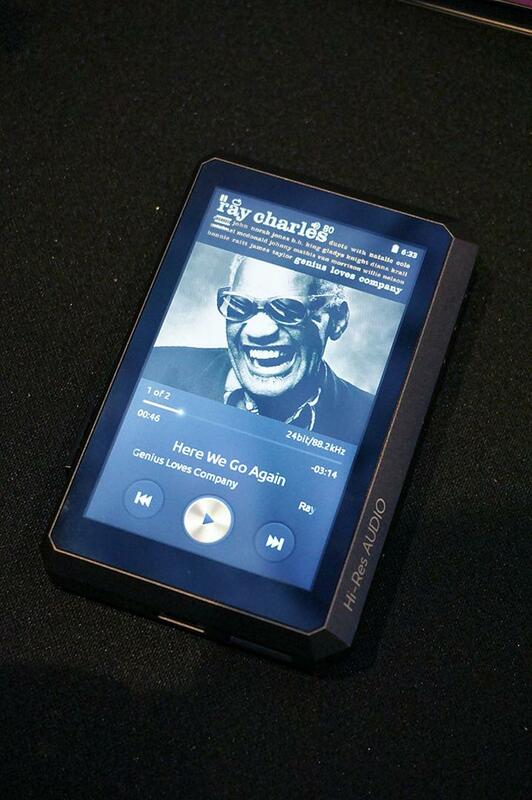 The Opus#1 is billed as a Portable Mastering Quality Digital Audio Player that is Android-based, features an ARM Cortex-A9 1.4GHz Quad-core processor with 1 GB of internal DDR3 RAM, dual Cirrus Logic CD4398 DACs that support decoding for 24/192 high res PCM files, and internal music storage memory of 32GB (backed up by a micro SD card slot with capacity for an additional 200GB of storage). 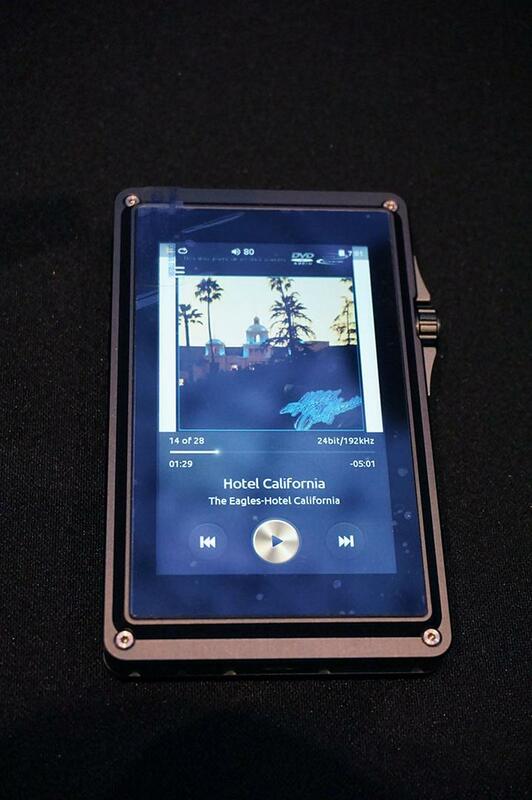 The Opus#2 is also Android-based and features an ARM Cortex-A9 1.4GHz Quad-core processor with 1 GB of internal DDR3 RAM, dual ESS Sabre32 ES9018K2M DACs that provide both high-res 32/384 PCM decoding and Native DSD playback, both WiFi and Bluetooth connectivity options, and internal music storage memory of 128GB (backed up by a micro SD card slot with capacity for an additional 200GB of storage). The Italian audio electronics specialist Pathos Acoustics showed two impressive new headphone amplifiers: the hybrid valve/solid-state Aurium ($1,495) and the even more capable Inpol Ear ($4,500). The Aurium is a single-ended headphone amplifier (or what Pathos terms a “headphone integrated amplifier”) that sports a pure class valve-powered front end and a solid-state MOSFET-driven power output stage capable of producing 3.6 watts of output @ 32 Ohms, in pure class A mode with zero feedback. The Inpol Ear is in essence a headphone-orientated version of the Inpol Remix MkII integrated amplifier recently reviewed by Hi-Fi+. The Inpol Ear is a fully balanced amplifier that uses a pure class A valve-powered front end and Pathos’ signature solid-state Inpol circuit for its outputs. In fact, the term ‘InPoL’ is an acronym that stands for “Inseguitore Pompa Lineare”, which roughly translates to “Linear Pump Follower”, which Pathos says uses, “a single solid state component in follower configuration, with high current gain and with voltage gain together.” The Inpol Ear uses double sets of Inpol circuits, which is said to improve low impedance performance and to increase the amplifier’s damping factor. Inpol Ear is capable of 10 watts of output @ 32 Ohms and can, at the buyer’s option, be ordered with Pathos’ HiDac EVO board, which adds high performance DAC functions to the amp, complete with three USB inputs (two type A and one type B), two S/PDIF inputs (one coaxial and the other optical), plus one Ethernet input (via RJ45 connector). Periodic Audio is a new firm making its debut at CanJam NYC and whose product range, for now, consists of three models of universal-fit earphones that each sport 10mm dynamic drivers with the driver diaphragms for each model using a different metal material. Periodic’s branding motif is centred on references to the Periodic Table of the Elements, and so the company’s earphone models are name for symbols used to reference the metals from which their diaphragms are formed. The company’s models are the Mg (for magnesium, priced at $99), the Ti (for titanium, priced at $199), and the Be (for beryllium, priced at $299). In a refreshing change from practices typically seen in the industry, Periodic offers postcard-sized product information sheets that provide detailed frequency response traces for each model, so that those interested in technical details can see exactly how the various diaphragm materials in use affect the voicing of the earphones. We look forward to hearing more from this new brand. As it had done at the recent CES 2017 event, the Chinese firm Questyle Audio focused its demonstrations on the firm’s upcoming and very full-featured CMA400i balanced output headphone amp/DAC, which could be viewed as a cost-reduced little brother to the firm’s extremely popular CMA600i. Pricing for the features-rich CMA400i is still under discussion, but expect the unit to sell at or below $1,000.